Ed Almquist not only produced the parts to make hot rods go faster, he built the cars, drove them and published the first popular “how to” hop-up book as well, written during his time as a marine engineering officer during WWII. He held seven U.S. patents and four foreign ones, and in recognition of his contributions to the sport of drag racing, was presented with the Founder’s Award by the International Drag Racing Hall of Fame. On July 22, Ed died at his home in Milford, Pennsylvania, at the age of 93. A child of the Great Depression, Ed learned to tinker at an early age, building a washing machine motor-powered go-kart at age 10. Four years later, as George Mattar wrote in the January 2005 issue of Muscle Machines, Ed had progressed to working on a salvaged Model T, which would teach him valuable lessons about making cars go faster. Their conversation gave Ed the confidence to pen his first book on hot rodding, Speed and Mileage Manual, which he then printed on demand on a borrowed mimeograph machine. In his sparse free time, Ed began working on a line of performance parts. Among his first products was an automated water and alcohol injection system that had a landed cost of 50 cents to produce, but sold for a healthy $6. 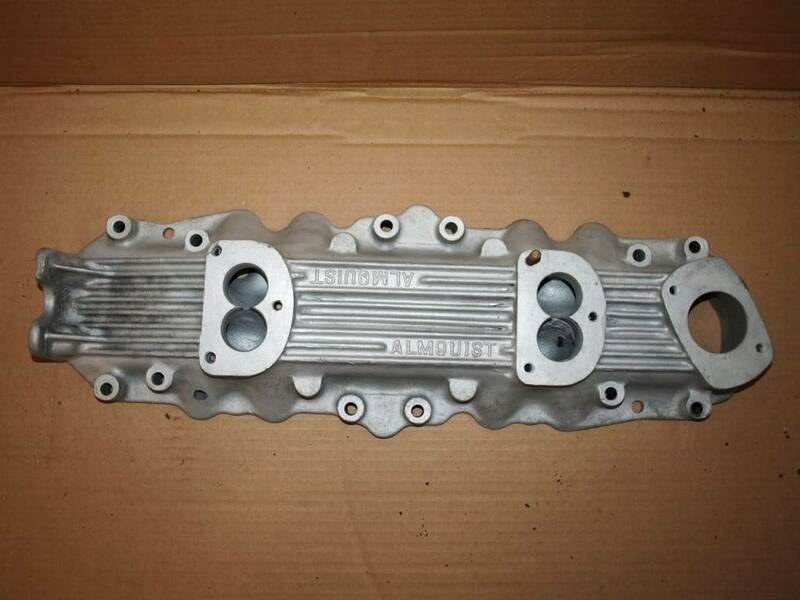 Other innovations included a variable length ram intake, camshafts and a multi-carburetor manifold that could fit a wide variety of engines. Later, he’d invent a six-electrode spark plug called the “Sparkomatic,” which Ed claimed delivered more power and a longer service life. 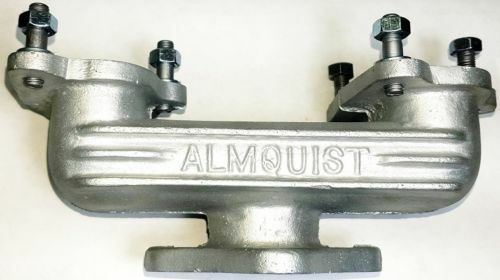 In 1946, he began Almquist Engineering, which enjoyed a booming business selling speed parts via mail order until the 1955 debut of the small block Chevy V-8. The company evolved into the Sparkomatic Corporation in 1954, and by the end of the decade had branched out into manufacturing floor shifters for retailers like Sears, Firestone, Western Auto and J.C. Whitney. Along the way it acquired Clearfield Plastics, too, and began producing a line of Almquist bodies to fit the Crosley and Fiat Topolino chassis. Even in his late 70s, Ed kept busy working on cars and consulting, though he semi-officially retired in 1999. That gave him time to work on a book about his decades working with the legends of hot rodding and drag racing (written at the urging of friend and former client Don Garlits), and Ed’s Hot Rod Pioneers: The Creators of the Fastest Sport on Wheels was first published in 2000. 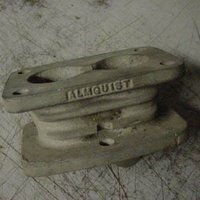 Almquist Y Adapter for stock intake Status: Not Currently Reproduced. I found some rumors of the adapter being reproduced under a few other names before it stopped and other adapters becoming more popular.